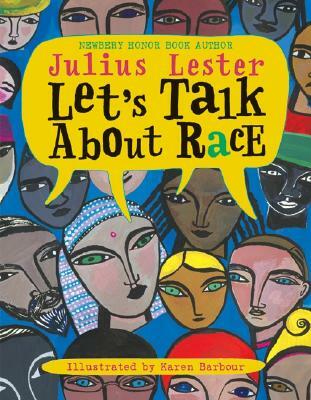 Let's Talk About Race (Hardcover) | Let's Play Books! I am a story.So are you. So is everyone. Julius Lester says, "I write because our lives are stories. If enough of those stories are told, then perhaps we will begin to see that our lives are the same story. The differences are merely in the details." Now Mr. Lester shares his own story as he explores what makes each of us special. Karen Barbour's dramatic, vibrant paintings speak to the heart of Lester's unique vision, truly a celebration of all of us.